Paperback out 4/9, preorder here! 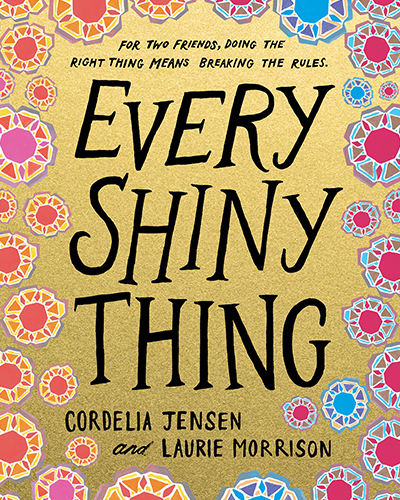 In this beautifully constructed middle-grade novel, told half in prose and half in verse, Lauren prides herself on being a good sister, and Sierra is used to taking care of her mom. When Lauren’s parents send her brother to a therapeutic boarding school for teens on the autism spectrum and Sierra moves to a foster home in Lauren’s wealthy neighborhood, both girls are lost until they find a deep bond with each other. But when Lauren recruits Sierra to help with a Robin Hood scheme to raise money for autistic kids who don’t have her family’s resources, Sierra has a lot to lose if the plan goes wrong. Lauren must learn that having good intentions isn’t all that matters when you battle injustice, and Sierra needs to realize that sometimes, the person you need to take care of is yourself.